Three Dead, Seven Injured In A Car Crash In Delray Beach | Schuler, Halvorson, Weisser, Zoeller & Overbeck P.A. Three children were confirmed dead and seven other people were injured in a car crash in Delray Beach, Florida Highway Patrol officials report. 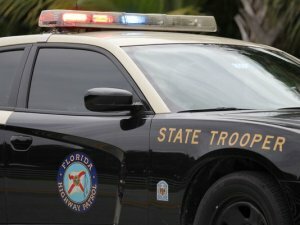 The Palm Beach County Sheriff’s office said, the crash happened on Interstate 95 close to Delray Beach. Florida Highway Patrol officials are investigating the cause of the crash. It is however believed that either drugs or alcohol may have played a part in the crash. A 2001 Lincoln had lost control and struck a 2014 Jeep Patriot head-on. There were five people in each of the cars. A six-year-old boy in the back seat of the Lincoln was confirmed dead. Two other children in the back seat were taken to a hospital and are in good condition, according to Medical officials. The adult driver is in critical condition and the adult passenger is also in stable condition. In the Jeep, a 6-year-old and an 8-year-old sitting in the backseat died. A 15-year-old also in the backseat is in serious condition at a hospital. The adult driver is in critical condition and the adult passenger in stable condition. Anyone with additional information relating to the crash should contact the Florida Highway Patrol officials.